A joint project by the Get It Back Campaign and CASH Campaign of Maryland. As a rideshare driver, you are self-employed, which means you are a small-business owner. You’ll pay self-employment taxes in addition to your regular income taxes. Learn how to maximize your driving income and file taxes correctly. You are eligible for tax deductions for business expenses that can reduce your taxes. Compile a list of these tax deductions with receipts and keep a mileage log so you’re prepared to file. Your taxes are NOT automatically taken out of your income. Make estimated payments throughout the year to avoid a penalty. How to Pay Estimated Tax PaymentsHow Do Uber and Lyft Drivers Count Income? If you make over $400 in self-employment income, you must file. You’ll need to file Schedule C and Schedule SE with Form 1040. You’ll find your rideshare income information on your driver dashboard. 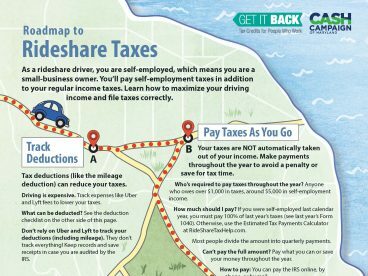 Review and print out the Roadmap to Rideshare Taxes Cheat Sheet as a reference. 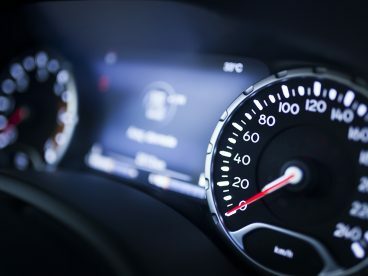 Track your tax deductions and mileage in these two spreadsheets. Before you file your taxes, fill out the Rideshare Tax Organizer to make sure you have everything you need.